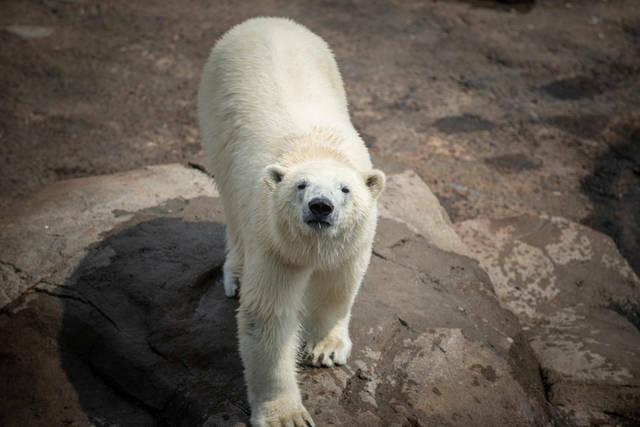 Powell, OH — Nuniq, Neva, and Amelia Gray—the only polar bear cubs born at a North American zoological facility in 2016—are scheduled to move from the Columbus Zoo and Aquarium this fall. Females Amelia Gray and her half-sister, Neva, will both move to The Maryland Zoo in Baltimore. The announcement of Neva’s twin brother Nuniq’s new home will be made soon. Moving dates have not yet been set, but as the young bears have gained a large following since their births in November 2016, fans are encouraged to visit soon if they wish to see the bears before they leave for their new homes. While the mother-reared bears will be greatly missed by the Zoo’s animal care team and the Central Ohio community, the Association of Zoos and Aquariums’ (AZA) Species Survival Plan (SSP) recommended the move for 22-month-old Nuniq, Neva and Amelia Gray. All three bears are weaned, and 650-pound Nuniq now outweighs his mother, Aurora. Moving the young bears to other AZA-accredited facilities also allows for the opportunity to potentially welcome a male polar bear in the future to be introduced to females, Aurora and Anana. “Since the Polar Frontier region opened in 2010, the Columbus Zoo’s polar bear program has been very successful—even resulting in the birth of four cubs, starting with Nora in 2015, who now resides at Utah’s Hogle Zoo. We are proud of the knowledge and expertise our animal care team has contributed to the zoological community about polar bears and other threatened wildlife, and we remain committed to efforts to protect these species, whose numbers are declining in their native ranges,” said Columbus Zoo and Aquarium President and CEO Tom Stalf. The dates when Nuniq, Neva, and Amelia Gray will make their first public appearance at their new homes have not yet been determined. They will be introduced to their new animal care teams while still in Ohio, and their Columbus Zoo care team will also travel with them to help facilitate her transitions. 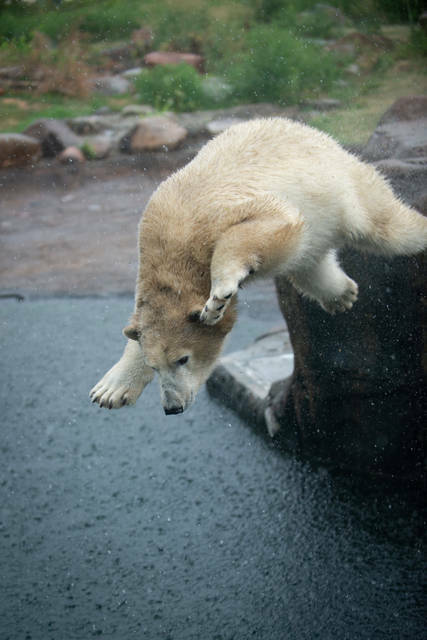 The breeding of Anana and Aurora with male, Nanuq, was based on a recommendation from the Association of Zoos and Aquariums’ Species Survival Plan® for threatened and endangered species. First-time mother, Anana, gave birth to her female cub, Amelia Gray, on November 8. Amelia was originally a twin, but unfortunately, her twin did not survive. The survival rate for a polar bear cub during the first few weeks of life is only about 50 percent. Amelia Gray received her name after a public naming opportunity, presented by Kroger. The name Amelia means “defender,” which represents that she is a conservation protector for her species, and Gray is a nod to one of her unique features—a small gray patch of fur located along the left side of her neck. Anana’s own twin, Aurora, welcomed her twin cubs on November 14—a male named Nuniq and a female named Neva. The twins were named through one of the many employee initiatives raising funds for conservation, resulting in several thousand dollars being raised to benefit wildlife around the world. Two employees from the Zoo’s North America team were awarded the opportunity to name the twins: Neva, which means “white snow” (and is also a river in Russia), and Nuniq, which is a derivative of Nanuq, the cubs’ late father. Nanuq was beloved among Zoo staff, who decided that selecting a derivative of Nanuq for the male cub would be a good way to continue honoring his legacy. Amelia Gray was not raised together with Nuniq and Neva as female polar bears typically raise their young independently. However, they had daily opportunities to view one another, which will help in the introductions of Amelia Gray and Neva in Maryland. 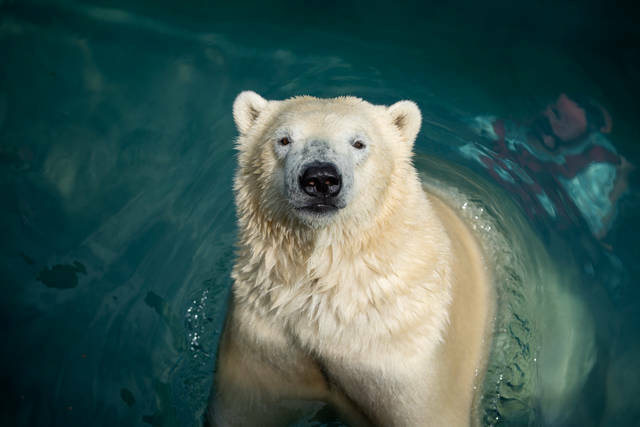 The Columbus Zoo and Aquarium is dedicated to conserving polar bear populations in their native range. Since 2008, the Zoo has contributed more than $250,000 to research benefiting polar bears in the Arctic. The Zoo is also designated as an Arctic Ambassador Center by Polar Bears International (PBI). At the Columbus Zoo, visitors are encouraged to do their part to save this amazing species by turning off lights when leaving a room, minimizing their use of heating and cooling units and other ways to reduce energy consumption. For the latest news about Nuniq, Neva and Amelia Gray, follow the Columbus Zoo on Facebook, Twitter and Instagram. For more information about the Columbus Zoo and Aquarium, please visit ColumbusZoo.org.